Decorative gravel is a versatile landscaping material. The mingled colours of Lancashire River Gravel are a perfect background for all plants. You can use this attractive gravel as a groundcover/mulch around trees, in flower beds, and in containers. It makes excellent pathways and driveways. What is Lancashire River Gravel? North West Aggregatesâs Lancashire River Gravel is composed of small beige, brown, and blue pebbles of various sizes and shapes. The average measurement of these pebbles is 20mm, making this a medium size gravel suitable for many applications. This natural stone makes excellent paths. Landscaping experts increasingly prefer gravel over âharderâ surfaces, such as concrete or pavement stones. 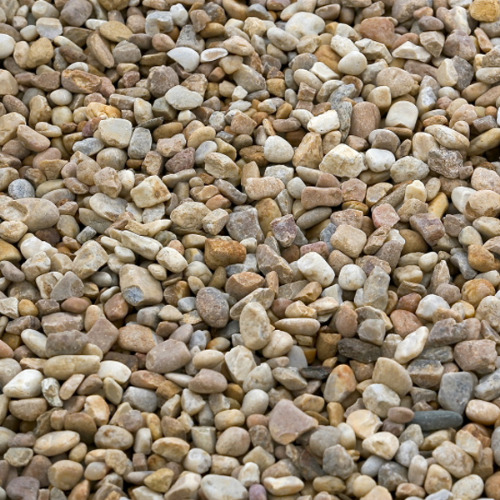 Landscape designers recommend gravel for pathways because it looks âsofterâ than larger stones. It also blends perfectly into the natural environment and you can choose the best colours to blend with your garden. As a groundcover, decorative gravel is suitable for Japanese style gardens because of their emphasis on âless is more.â These gardens require a natural looking groundcover, since they have wide areas between the plants. 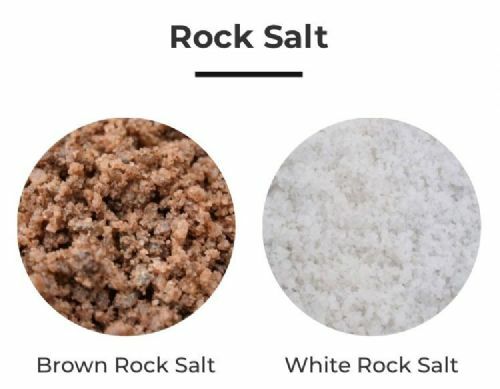 Decorative gravel is also useful in American Southwest style gardens, which are planned to require minimum watering, with no grass or other organic groundcovers. It is best to use a weed barrier fabric around your plants before you install gravel as a groundcover. Synthetic, polythene mesh is durable, but many people prefer to go completely organic and choose burlap as their weed barrier. Burlap is composed of natural fibers which eventually disintegrate and add nutrition to the soil. Before putting gravel in place for a pathway, you should compact the soil with a roller or tamper. Then layer two to three inches of river gravel on the compacted area. While a few experts suggest using a weed barrier fabric under pathways, many feel that barrier fabrics are an unnecessary nuisance, since they can easily slip and show through after a little foot traffic. Maintain your Lancashire Gravel pathways and groundcovers by raking them regularly to remove trash. A round tined rake is perfect for this job. Your decorative gravel groundcovers and pathways will look lovely for many years with proper maintenance. North West Aggregatesâs Lancashire River Gravel is available in bulk for large landscaping jobs. Bulk buying is convenient for driveways and long paths. Lancashire River Gravel is also available in tonne bags and large bags (25KG).